However, 22 are available from other sellers. Minky M Cloth Anti - Bacterial Cleaning Pad: he M Cloth Anti-Bacterial Cleaning Pad is dual sided for effective powerful scrubbing, making light work of all cleaning and washing up tasks. 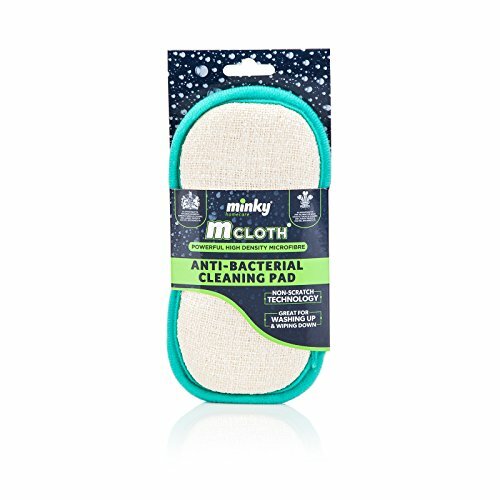 The scrubbing side is ideal for quickly removing burnt on stains and marks, whilst the microfibre side simply lifts away grease and grime. Each pad is treated with a long-lasting, anti-bacterial protection preventing the growth of bacteria.